Target: Hello, Harlem! – Sooo Fabulous! When Target opens the doors to its Harlem store, it will be stocked with the things every Manhattanite needs: fresh food, pillows, airbeds–and designer swimsuits! Isabel and Ruben Toledo have partnered to create a collection of “beautifully psychedelic” swimwear in celebration of the July 25 opening, says Target. The IsabelandRubenToledo for Target project is part of the Harlem Designer Collections, which debut August 1, mostly on the East Coast and on Target.com. What else is great about Target East Harlem? 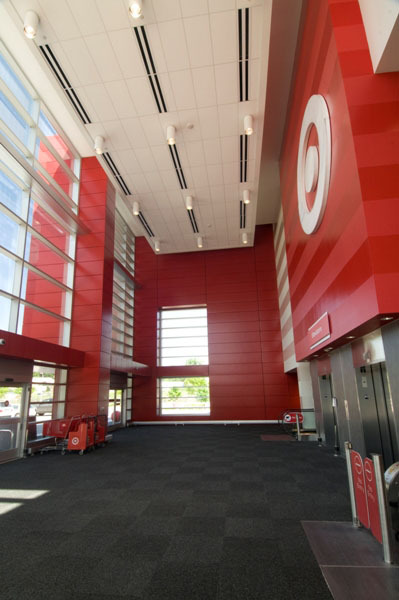 It will employ about 400 Target team members upon opening! Thumbs up! Who’s on Twitter?! We are! Follow us (@sooofabulous) for for delicious fashion chitchat! Previous PostLifetime Confirms Project Runway RumorsNext PostCelebrity Style Moments :: Kristen Stewart, Mary J., Rachel Roy + More! Pingback: Who Wore What :: Target East Harlem Grand Opening « Sooo Fabulous! Pingback: Isabel Toledo Launches Payless Collection « Sooo Fabulous!